What’s new in Kyma 7? Whether you’re creating a sound universe for a new game or film, performing live in front thousands of eager ears, or alone in your studio creating the future of music, what’s the one thing you want most when you’re first getting started on a project? 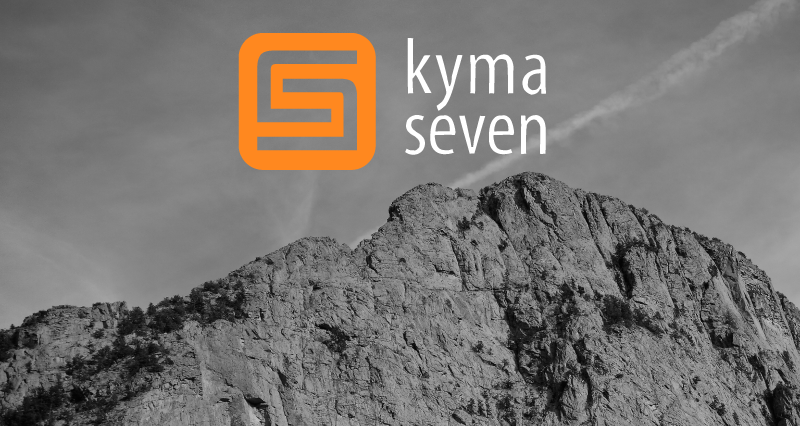 Find out how to upgrade to Kyma 7! 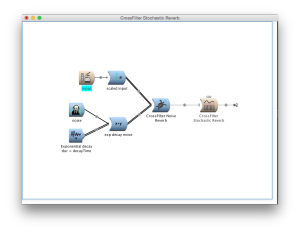 Every aspect of Symbolic Sound’s new software release — Kyma 7 — was designed with inspiration in mind. 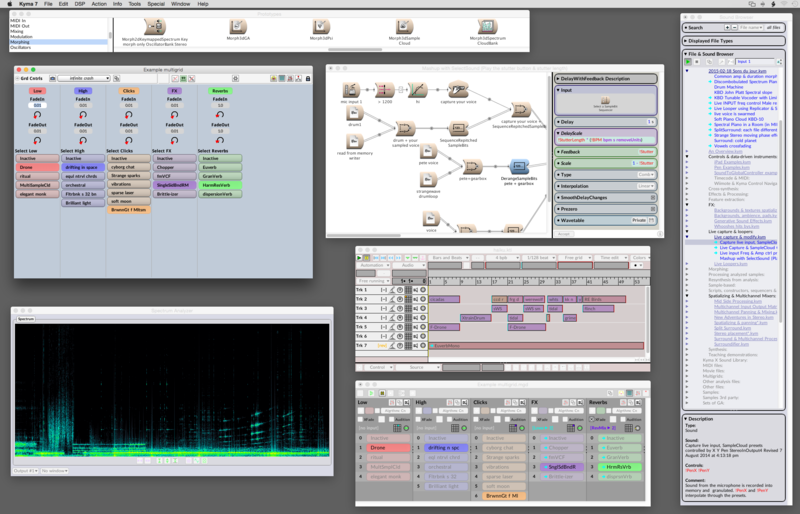 In the new Multigrid, you can explore combinations of sources and effects with no interruption in the audio signal; in the Wave Editor Gallery, a single click automatically generates massive numbers of patches all based on your original sample; the new Parameter Assistant, Capytalk Reference, Inspiration tool, and web-based Questions and Answers make it easy to get up to speed quickly and get your questions answered when you need it. 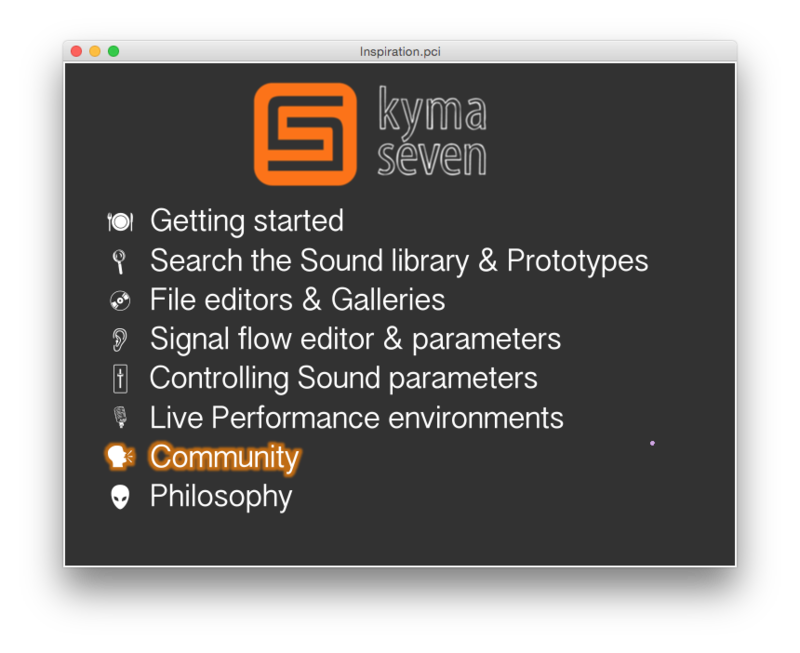 Derive even more inspiration from the Kyma Community Sound Library accessible from the Help menu in Kyma 7. Find out what’s changed in Kyma 7.1! 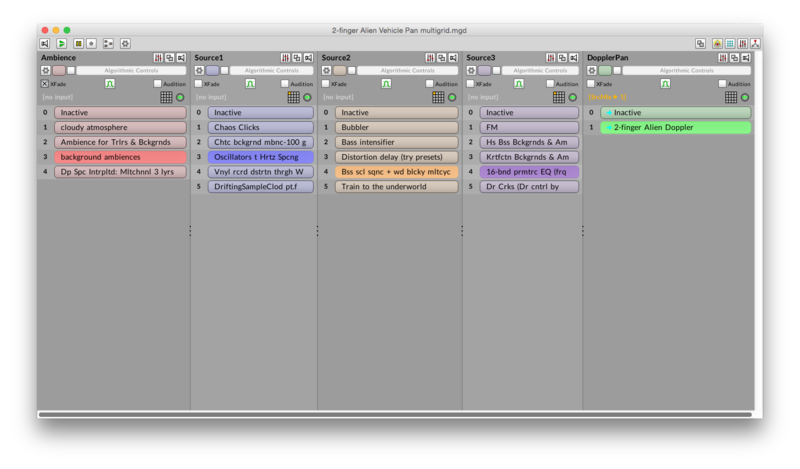 There’s nothing quite as daunting as a blank screen or silent speakers — it can be like the sound designer’s version of writer’s block. Once you have a starting point, though, it’s easier for inspiration to kick in. That’s when you can start tweaking and refining! Kyma 7 doesn’t do the sound design or composing for you; what it does do is to provide some initial material to help kick things off. Because once you get that initial inspiration, you’ll be off and running! First impressions: Overall look and graphic improvements are superb. Makes me want to explore and get into it. Looking at it for the first time, it actually took my breath away. Bravo. 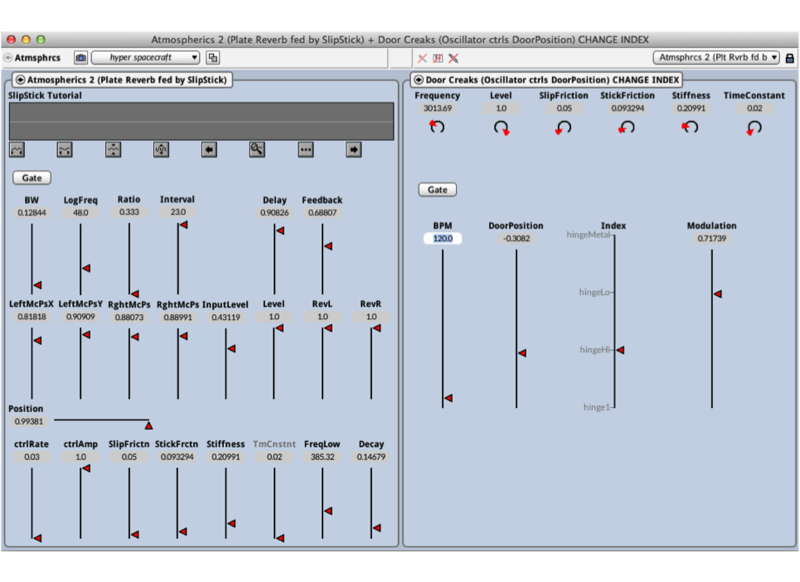 Kyma 7 expands on the sound modifying playfulness but providing a UI that is fresh and comfortable to use. Your sample editing is also smooth, in its ability to quickly find points at which there will be no clicks between cuts, etc. It is hard to make this not work! In fact, throughout the program, you have made extraordinary efforts to do things so musically and smoothly behind the scenes. An underappreciated story, I think. 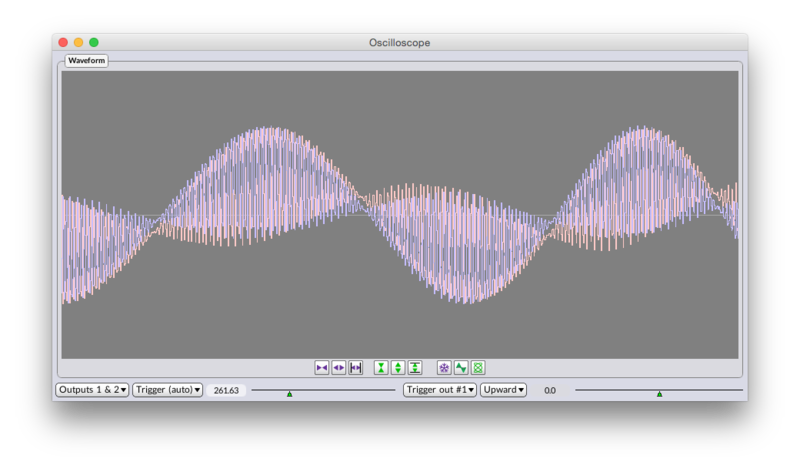 or generate your own wavetable for the new AntialiasedOscillator. 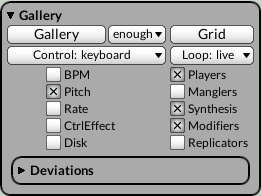 Click the Gallery button to generate a myriad of ready-to-play keyboard instruments based on your custom waveform. 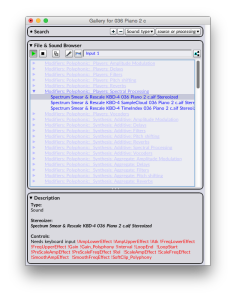 A single click yields vast quantities of audio assets! Kyma automatically creates hundreds of signal flow graphs — with the external controller you want and with all the parameter controls set up so you can start tweaking immediately. Click Grid to automatically generate a Multigrid based on your original sample; now you can explore limitless combinations of sources and effects. With the Multigrid, complex multi-timbral sounds are now much easier to handle and to build! 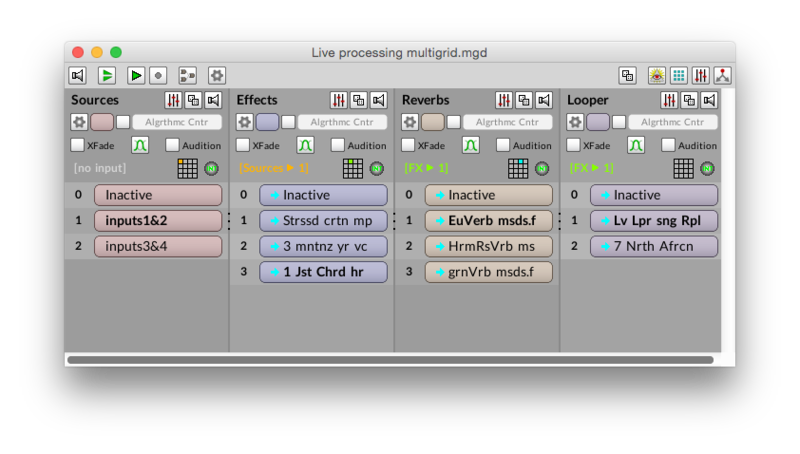 Or create your own live sound design Multigrid by dragging Sounds from the Sound Browser and dropping them into an empty Multigrid. Wow! I love making a Sound from the Multigrid! 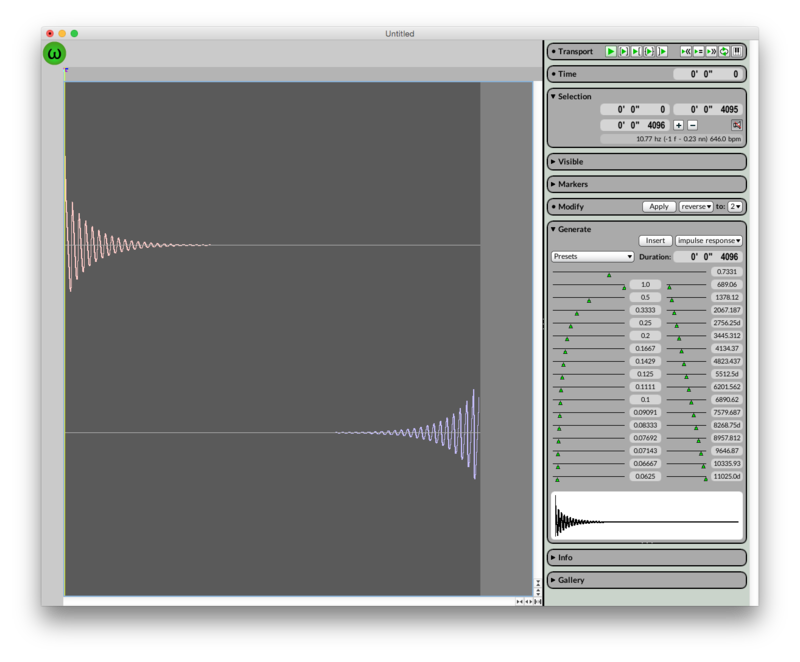 When you hear something you like, click the signal flow icon and Kyma automatically extracts the current path through the MultiGrid as a fully formed Kyma Sound — it even preserves the presets! Now that you’ve got a starting point, it’s easier for inspiration to kick in. …very intriguing indeed! Fantastic idea, which awakes even old Kyma users to new curiosities!!! Ready to start each day with a little inspiration? 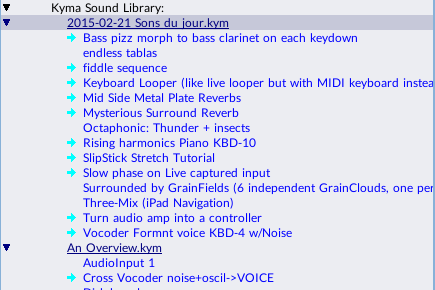 Every morning, Kyma selects some Sounds just for you and places them in the Sons du jour folder of the Sound Browser. So you can start each session with some fresh new Sounds! Kyma generates so many possibilities that the sheer quantity of choices can seem overwhelming at times, but don’t worry. Now you can roll the dice in the Sound Browser (as well as in the Virtual Control Surface) to hear what fate and a pseudorandom number generator will pick out just for you! The search options are a great way to explore the Sound Library. Looking for something in particular? In Kyma 7, you can search for Sounds and files by name, by algorithm, by controller type, by a parameter name, by star-rating, even by the contents of a parameter field. Let the friendly inspiration tool brief you on the highlights and lead you to tutorial videos and PDF documentation. The videos are just fabulous!!! If a picture is worth a thousand words, then a video must be worth at least a million pictures — especially when it comes to seeing how to work with an interactive graphical interface. The new Kyma 7 tutorials are both inspirational and instructive. With the new Multigrid you can switch instantly between sources, effects, and combinations with no interruption in the audio signal. Perform live, inspired in the moment, with infinite combinatorial possibilities. This is a game changer for me! This is a totally amazing performance tool. Fantastic work! It will make a great deal of difference to the way we can operate our live shows! The Multigrid is revolutionary because will change how people think about sound. The ability to quickly superimpose many different sounds vertically…and improvise (or have a more set piece) live for hours…creating a work with no beginning, middle or end, but rather one that is concerned primarily with moment to moment process. In the Kyma 7 Timeline you can slow down or stop the progression of time to synchronize with other performers. If you’re working to picture, you can link a QuickTime video to the Timeline and, whenever you receive an edited video, you can insert or delete time; the Timeline will automatically shift all affected Sounds and control functions left or right to accommodate the change. 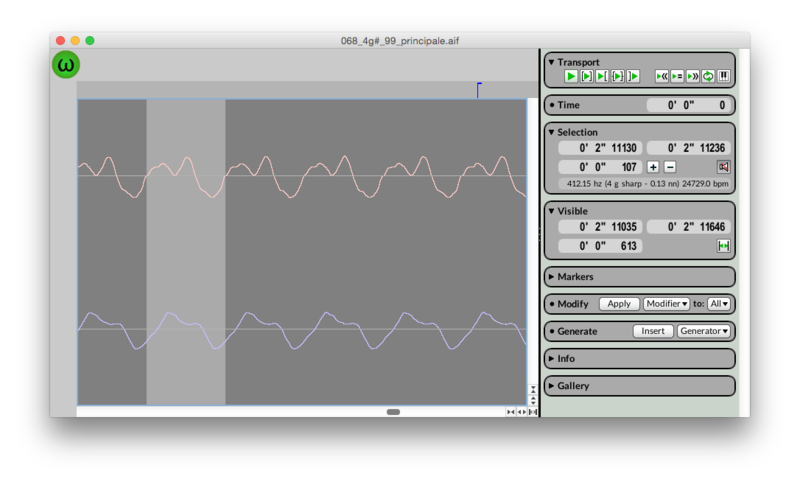 Much faster work-flow and as a result much more practical for custom sounds and processing. The fastest and easiest way so far to explore sound, musical and compositional ideas and strategies. Sounds and Timelines compile faster in Kyma 7 — some by as much as 1000 times faster! That couldn’t hurt. Curious about what’s inside a Sound? Just hover over the name or icon to take peek inside without interrupting the flow. 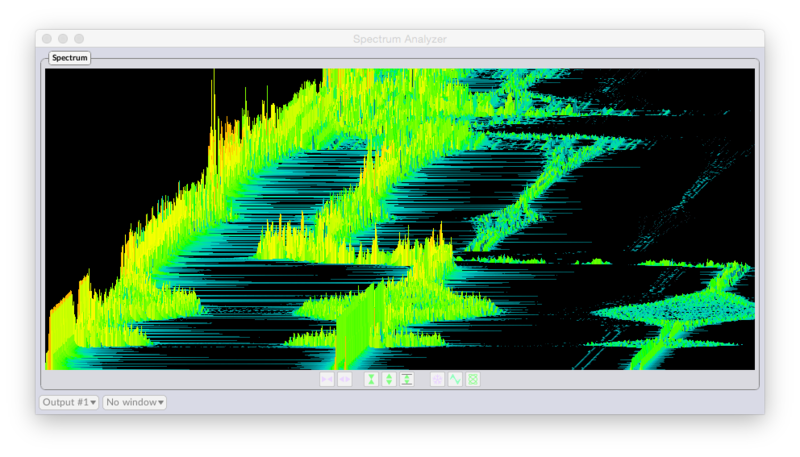 For listening with your eyes, there’s a new Oscilloscope or Spectrum Analyzer that you can switch on at any time, even while a Sound is already playing. The new Kyma is more approachable – and the online help is much improved. Stymied by a question? 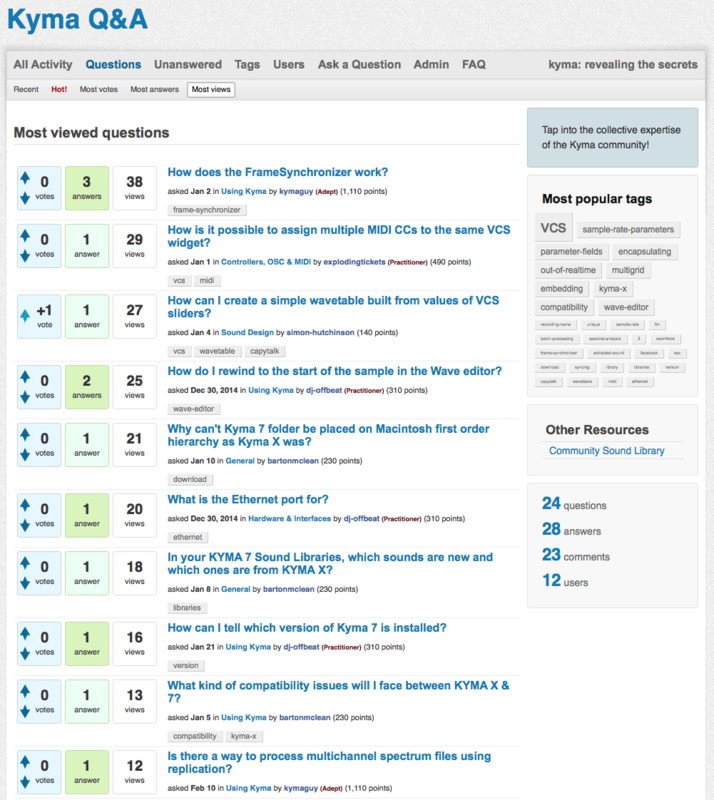 Go to the Help menu and pose a question… or discover the most up-voted answer to the questions posed by others. 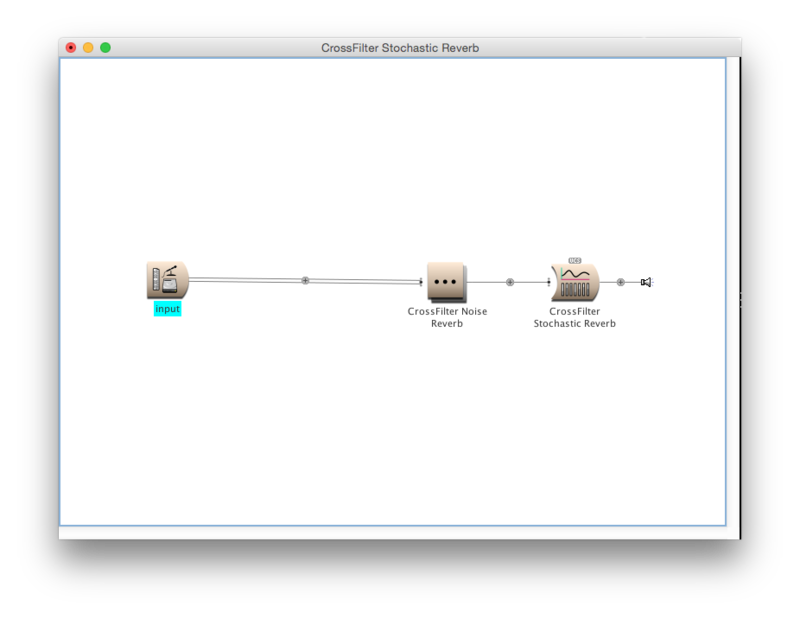 Use the merge and split functions to keep your signal flows clean, logical and easy to read. 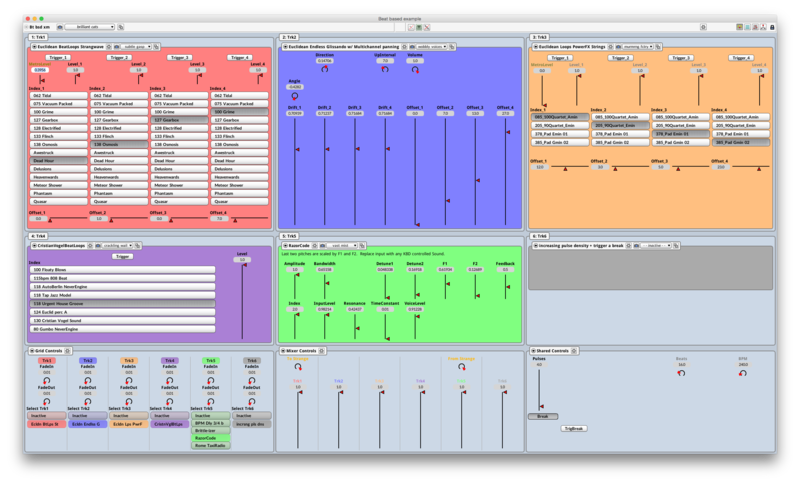 When you combine Sounds in a Timeline or MultiGrid in Kyma 7, each Virtual Control Surface layout is preserved in its own embedded layout. Quickly navigate down into embedded layouts and pop back out again. New side-bar parameter fields are more uniform and easier to organize; open a parameter field to show more detail and hide it when you’re finished. And if you don’t like the ordering of the parameters, you can rearrange them. The greatest advantage over Kyma X is the clarity and the little helpers IMHO. 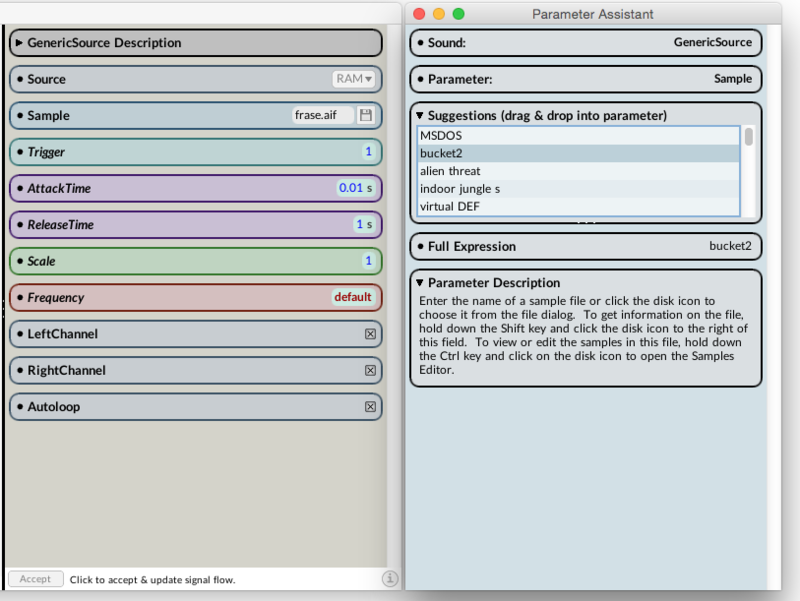 When you need inspiration for what to put into a parameter field, the Parameter Assistant searches the Sound Library and finds all the values ever used for that particular parameter in that type of Sound and shows you the most commonly used values at the top of the list. All you have to do is drag and drop. The Capytalk Help is outstanding!!! Hover over any element of a Capytalk expression for a hint as to its function. Or dive deeper by opening the Capytalk reference where you can search by typing part of a message or browse the messages by category. Not only does the Capytalk Reference provide a full description, it also provides examples that you can copy and paste into parameter fields and Sound examples so you can see the message used in context. For the experienced user the search function in the Capytalk reference is super cool. [You] get to know a user community which is actual helpful and kindly. Kyma tends to attract independent-minded, creative, dedicated individuals with wide-ranging interests; Kyma 7 makes it easy to tap into their collective expertise for even more inspiration. Sharing your results with a community of like-minded individuals is both satisfying and inspiring. 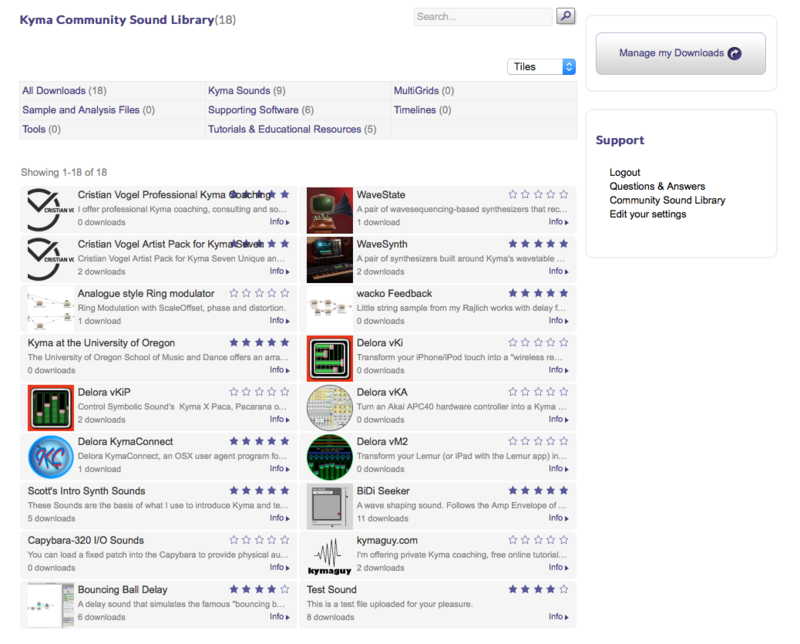 Just select Share from the File menu to contribute your Sound to the community Sound library in the cloud. Kyma is the cure for gear lust. When some cool piece of gear comes on the market, my first thought is “that’s a cool idea”. My second is “I wonder how long it would take me to make a better version in Kyma? Looking for some fresh ideas? 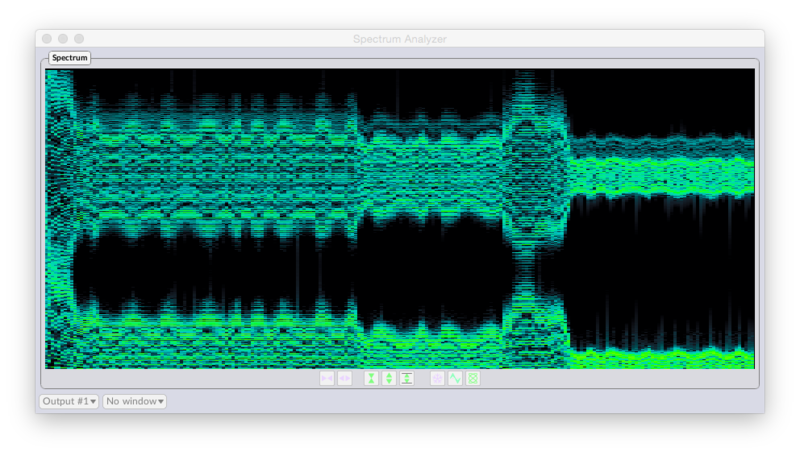 Check out one of the Sounds uploaded by your fellow Kyma users. Find yourself a 5-star Kyma coach or consultant from among the list of private tutors, discover where you can sign up for a course at a degree-granting institution, find a book about Kyma or discover Cristian Vogel’s Artist’s Pack full of inspiring new Sounds, waveforms, Multigrids and beautifully-crafted Virtual Control Surfaces. Discover some of the third-party software written by Kyma users to facilitate Kyma interactions, like Delora Software’s connectivity solutions or Camille Troillard’s OSCulator. I look forward to see Kyma change more and more people’s views about music and sound. And don’t forget the yearly conclave of Kyma adepts; this year the Kyma International Sound Symposium will meet in Bozeman Montana (the city of First Contact) on the theme: Picturing Sound. Kyma 7 is the cure for sonic ennui and general creative roadblocks. Kyma 7 provides sound design inspiration when you need it; live performance environments that are rock-solid-stable yet provide an inspiring degree of choice, control and responsiveness; plus context-sensitive help and information displays to minimize interruptions in the creative flow. All with the meticulous, uncompromising obsession with sound quality that has become synonymous with Kyma. Which Kyma System is right for you? What’s changed in Kyma 7.1? Which Kyma System is best for you?